The Chanel designer is half the man he used to be. No really. 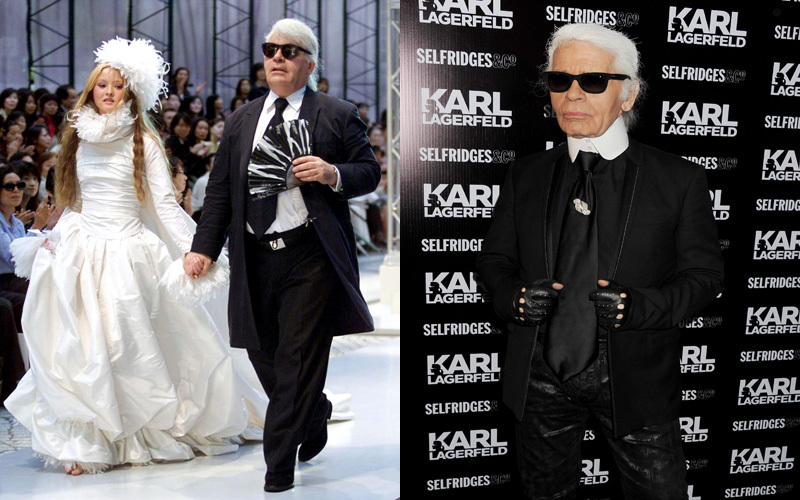 In 2001 Lagerfeld shed nearly 100 pounds, inspiring The Karl Lagerfeld Diet guide, an obsession with Diet Coke, and catty comments about how ‘fat’ Adele is. Humph.